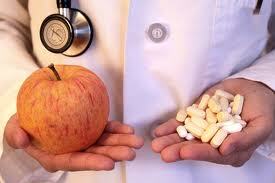 Which would you choose, an apple a day or a multivitamin? A concept does not have to be complex to be profound. The practical application of the concept is what makes it profound. You may have an abundance of information and knowledge about a very complex subject but still not have an understanding of how to apply this knowledge. Too often we make things more complex than they need to be. We do this at the expense of not using common sense. What is healthier for you, an apple a day or a daily multivitamin supplement? What is best for the health of your immune system, a diet of mostly fruits and vegetables or a daily multivitamin? Vitamin D is important as an anti-depressant and it also provides anticancer activity against breast and colon cancer; therefore, should you take a vitamin D supplement? Should you take a vitamin C supplement to fight against cancer? Do vitamin and mineral supplements make you healthier?